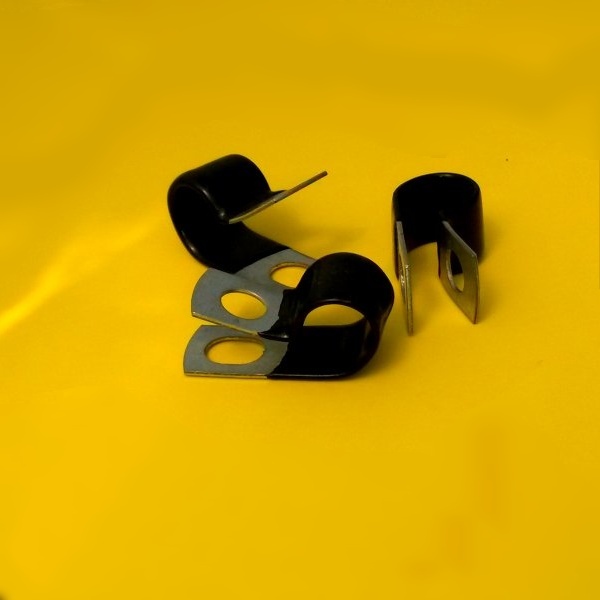 10 pack of galvanized steel mounting hangers with a wear-resistant vinyl cushion. These hangers combine good corrosion resistance with vibration resistance. Keeps hoses away from moving parts and limits hose vibration. Use these hangers to secure grease fitting relocation hoses. Made of galvanized steel with a wear-resistant cushion, these hangers combine corrosion resistance with vibration resistance. Keep grease fitting extension hoses away from moving parts and limit hose vibration. 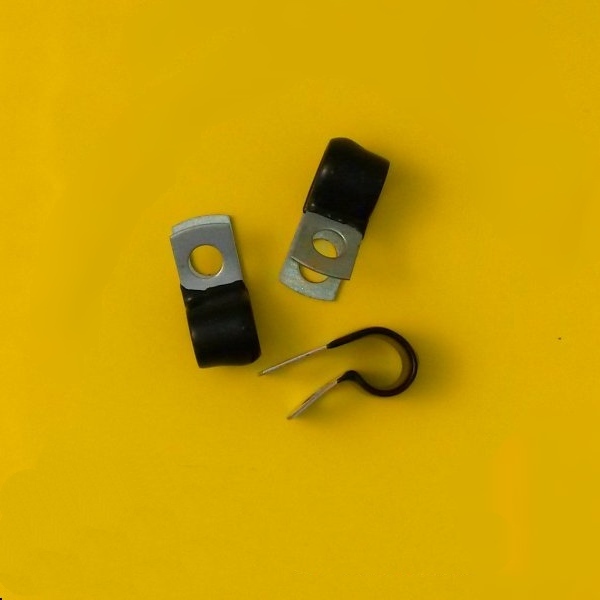 Hangers have a 3/8″ ID, are 1/2″ Wide, and have oval mounting hole 9/16″ wide. Mounting fasteners are not included. 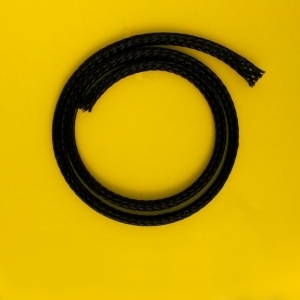 Much stronger and longer life than nylon wire ties for securing and routing grease fitting extension hoses. Price is for a pack of 10 pieces.